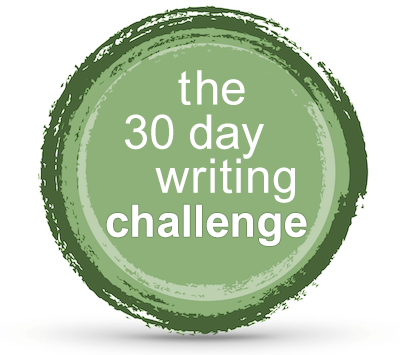 The 30 Day Writing Challenge! – Your Creative Life. You SAY you have what it takes to be a WRITER. Do YOU?? Find out where you stand with your writing. Take the challenge! Discover what’s blocking you from telling your story. Take the challenge! Attack YOUR PROJECT and YOUR ATTITUDE about writing for 30 days straight! This unique email offer will guide you through a month of journaling (about your writing) and a month of concentrated work on a project of your choice. Let go of excuses and focus, from the comfort of your own home. Can you do it?? There’s only one way to find out. Every day you get an email about an aspect of the writing life. Every day you’re challenged to journal for 15 minutes on the topic. Every day You’re challenged to write on your project for 15 minutes. As a BONUS – you get a FREE 30 minute coaching session in the middle of your 30 day experience. The Day after you sign up – email prompts begin! It’s a great way to find out if you have what it takes to be a writer. No more excuses. Are you up for the challenge? ?